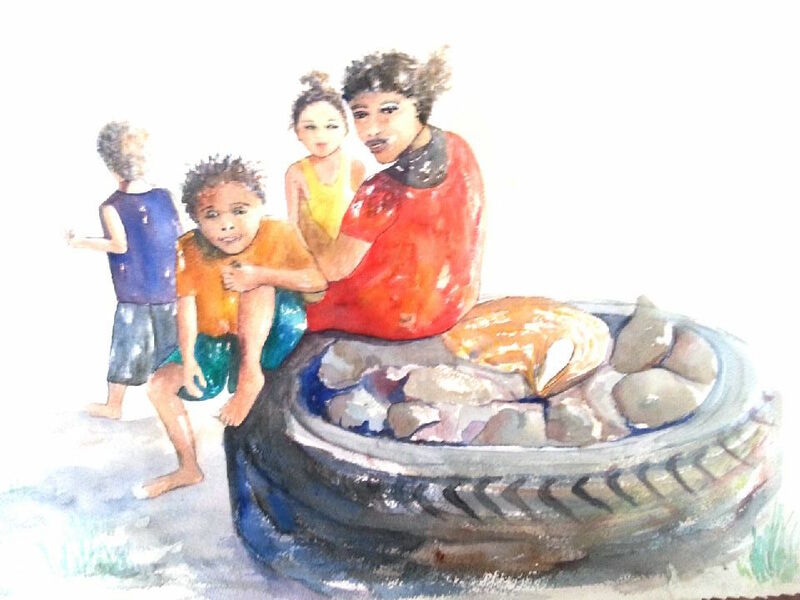 Mama Pikinini – watercolour on paper. JK.Leahy. 2016. I am away from this blog to spend time finishing some projects. I am also working on a new website for tribalmystic blog and adding a gallery to the blog. Hopefully, that will all be completed soon. If you have any queries, email me. Above in one of the series of market scenes from Papua New Guinea (PNG) I am working on. It is a quick shot with my mobile phone to give you an idea of the image. It is a typical scene in the PNG markets. We’ll keep the light on for you, Joyce, while we wait to see your new site!! Hope it all goes well for you. Thank you Chris – I may need it. Hahaha.